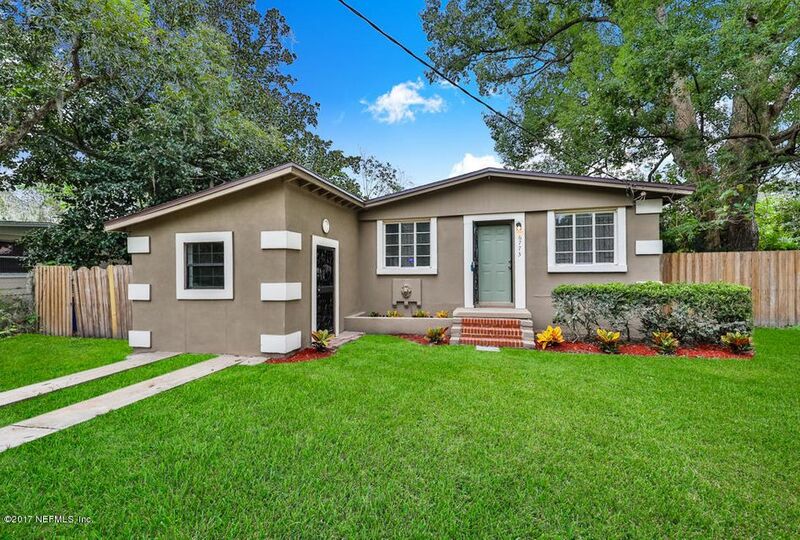 This cute concrete block home has everything you need. The exterior has been painted giving it lots of curb appeal. You walk right into the living room that has beautifully resurfaced original wood floors. To the left, is the recently renovated kitchen with a breakfast nook. New finishes include cabinets, tile backsplash, countertops and tile flooring. The converted garage has insulation, A/C and heating that is great flex space for your family. Home has washer and dryer hookups. The totally updated bathroom has a cute pedestal sink and all new tile in the shower. The three spacious bedrooms all have new carpet and good-sized closets. The backyard is completely fenced, perfect for your barbecues and parties. This home has been on the market since Oct 24,2017. Courtesy of KELLER WILLIAMS JACKSONVILLE.